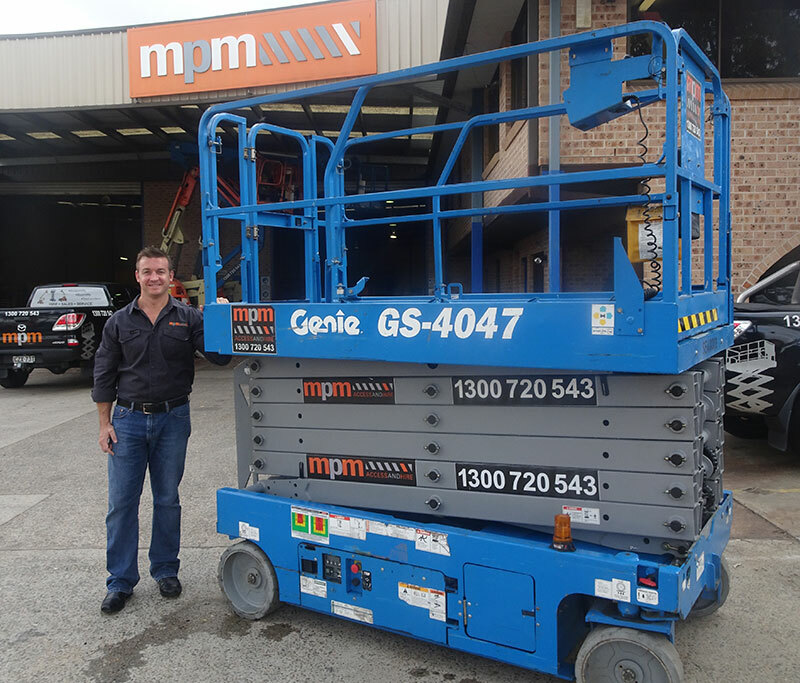 Wetherill Park-based MPM Access and Hire confirmed its commitment to Genie® products with the purchase of a fourth Genie GS™-4047 scissor lift, the full drive-height electric scissor lift, to service its growing customer base in Western Sydney. The MPM Group launched its access and hire division in February 2009. Initially, the MPM Group operated recruitment and commercial/industrial cleaning companies, according to Justin Thorpe, General Manager, MPM Access and Hire business. Justin, an experienced member of the EWP industry, joined MPM in 2012 to lead its sales drive and recently became a partner in the company. A full-service hire company, MPM offers knuckle and telescopic booms, vertical and scissor lifts and telehandlers. The MPM fleet includes a significant number of Genie machines. Given MPM’s location in Wetherill Park, at the heart of Sydney’s rapidly developing industrial west, the hire company is servicing an extensive range of clients and contractors. The Genie® GS™-4047 scissor lift has been a great addition to MPM’s hire and rental fleet, according to Justin. “The machines have been in high demand while returning us great ROI,” he explained. “When we were initially considering which model to purchase, height was a factor. However, our preferred scissor lift also needed to be compact for operating in restrictive access environments and have a functional lift capacity. "Apart from operating in warehouses, the Genie GS-4047 scissor lift is perfect for a wide range of indoor applications, including and not limited to fire protection, security, electrical, plumbing, painting, as well as heating, ventilation and air conditioning (HVAC)," said Justin. After 17 years in the hire and rental industry, Justin believes he is in an excellent position to comment on Genie. He said, “Genie is a reputable brand that provides safe, innovative and reliable products. © 2019 Terex Corporation. All Rights Reserved.